Word Wizard is a unique spelling app offering a talking movable alphabet that sounds each letter, words and sentences. It also includes a spell check and fun spelling tests. Movable Alphabet: enter words, build sentences … the talking alphabet can read them all and will even highlight incorrect spelling. Each time a letter is placed on the board, a computer voice tells its name, or phonic sound. It keeps on telling the letter sounds till it makes a word. Each time kids add a letter the pronunciation changes. If your kids constructed sentence, then tap on the “speech tap” to listen to the full sentence. Quiz mode: Kids can test their knowledge. You or your kids can create and enter customised word list, ideal if learning for school weekly spelling test; or you can choose a list among 189 pre-set spelling tests. 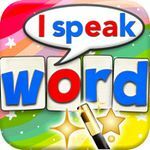 All lists contain 10 words and are organized by categories such as Words for beginners, Dolch Words, 1000 most frequently Used Words, body parts, family members,… When using the lists, the app says the word and kids simply spell the word. If correct, a cute animation will display. No matter which mode you use kids can either type the letter via the Keyboard emulation (ABC or QWERTY) or drag the letters. 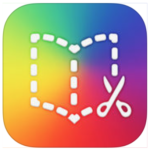 Book Creator for iPad by Red Jumper Studios is a great application designed to make creating books for the iPad simple and easy. The best part is that to create these books for the iPad all you need is an iPad and the app, well…and creativity. An app like this has so many uses, from independent authors of children’s books, a family fun night of creating a story or picture book, a classroom full of students creating something to share with the class, or teachers building an eBook to share with their peers or students. Book Creator for iPad makes creating an eBook simple and easy. By arranging pictures and words using the touch screen, creating books is a fun experience, even for kids and students. Take your finished product and read it in iBooks, amazingly formatted, in portrait orientation, or the landscape mode with double pages. You can also share these books via email or Dropbox, making your creation something others can enjoy as well. Even better, when you have crafted your masterpiece, you can publish it to the iBookstore, and when you do you’ll feel confident that it will meet Apple’s requirements, as these eBooks are created using the international ePub standard. Story Patch is cleverly designed, with the specific goal of helping kids grow by creating a fun and educational book they can assemble by themselves or with the help of their parents. 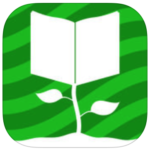 A large open book is shown in a patch of grass with six entry points: Create a Story, Edit a Story, Share a Story, Read a Story, Tutorial and Credits. It’s in Create a Story, where you create a title for your book. Your child can either select a theme or create a story from scratch. Trip to the Zoo, My First Day of School and I Got a New Pet Today are just some of the themes to choose from. There are helpful buttons that the child can select that will ask questions specific to each theme. What happens “under the hood” is that story patch inserts the answers that users gave into the story text (for example, if they were asked their name). 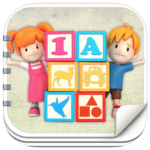 This is a great app that will keep your child entertained for hours. One of the really cool parts of this app is the Image Library; it boasts a collection of 800 images to choose from, organized into 47 different categories. Once your graphics are on the page, you can resize them, stack them, move them to the front or back of the screen. When scenery is chosen for the background, it’s always put on the back layer so you can be assured none of your other objects will be hidden. Changing the size of graphics helps give added dimension to your child’s story. You can have smaller houses in the distance to simulate perspective. BábógBaby bring you Irish, Welsh, English and Scots Gaelic speaking teddybears to educate babies, toddlers and children. 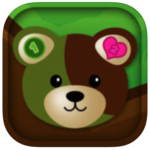 This app enables you and your child to interact with BB bear a digital version of the real world’s first Irish and Welsh Speaking toy from the first of the Bábógbaby products. 2013 brings an animation series based on bear called BB and Bella. BB Bear has 33 words to teach your baby, toddler or child – 10 numbers, colours and shapes. 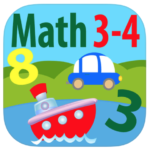 Splash Math Grade 1-6 is arranged to function a bit like a workbook, only colorful, digital, and touch-screen interactive! The fifteen skill-set based chapters include over 200 math concepts, and are designed to help children practice math facts in a spiral-based way (introducing bits and pieces of the different chapters as the child progresses) that gradually increases in difficulty through three levels – easy, medium, and hard, as a child achieves proficiency in the earlier levels. The app is very customizable – you can turn certain chapters on or off, ask your child to complete extra practice in a specific chapter (the app will assign this itself if it sees your child struggling with a concept), allows for multiple users, sends detailed email reports to parents by email, let’s you choose between 10 and 100 questions per session (of either play or practice mode), let’s you modify the audio settings (on or off for music and sound effects) – this is really a full-featured app. The app tracks not only the number of questions your child gets right, but how much progress he has made through the app in terms of percentage completed. Each correct question is worth one point, but after five correct answers in a row the game enters “Power Up Mode” where every answer is worth 2 points. After earning varying numbers of points, children earn new animals for their aquarium, an interactive environment filled with sea creatures that your child can tap and interact with, make dance, feed, and more. The universal version of this app is designed mainly for iPhone/iPod devices and looks crisp and clear on them. It also runs on the iPad in 2x mode but is a bit fuzzy. 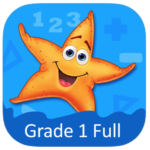 The iPad version is crisp and clear, providing a colorful underwater environment for your child to practice their math in. This app isn’t designed to give direct instruction, but to provide practice. The questions are largely multiple choice. 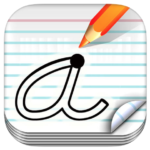 This is a brilliant app for children to practice their handwriting, they can trace words, letters and numbers. Packed with colourful and engaging activities, it is designed to develop early maths skills, while keeping your child absorbed and happy for hours. It is already a hit with children in our school brilliantly structured and is in keeping with the Irish Curriculum. KIDS Opedia is an engaging & addictive App built for children to entertain, educate, and help them learn. As the name suggests it is a complete encyclopedia for kids. It is designed such that it engages and entertains the Kids using various multimedia elements such as sound, text, images, animations, and quizzes. While most of the apps for kids focus only on the learning aspects, we at CrediPoint have taken this concept further to provide a holistic learning experience. This application uses the best practices applied in educational games including the L-A-R-A ( Learn – Assess – Report – Analyse ) Model. This application is not only meant to teach kids but allows them to test their knowledge through variety of quizzes. It further allows the parents / guardians to view the Quiz reports and analyse their kids progress. The quizzes used in this app are stress free and do not overload the children. They are presented in a fun and game format. The right / wrong answers and feedback animations encourage the kids to do better and think before they respond. The reports present a detailed summary such as words, correct / incorrect response, score in points, average time spent on each item, total score etc. The quizzes come in different types and levels. Additionally you can configure the quiz by selecting single or multiple categories and randomize items to increase / decrease the complexity and levels depending on your kid’s age and how they progress. As a result this application can be used right from Preschool to Kindergarten to School aged kids. The reports are stored and segregated by Date / Time format for future reference. The analyze feature helps the adults to analyse the kids progress across multiple test and over a period of time. This feature is also helpful in identifying the strong and weak areas of the kid and thus provides focussed and prescriptive training to them.